I can't tell you how happy I am that school holidays have started... two weeks of, hopefully, stress free pottering around home and lots of crafty time. Yay!! Ange unfortunately can't be with us today, she is looking after a sick child. We wish her all the best and pray that Calum has a speedy recovery and is soon up and running around again. But, lucky for us, the wonderful Sue from My Inner Reflection has stepped in to be our special Guest Designer this week. Welcome Sue and thank you for sharing your gorgeous card with us. I love the tiled look Sue has created here using the butterfly from Hero Arts 'Antique Flowers and Butterflies' set. This set also comes with all the dies to match, which is perfect for making cards. 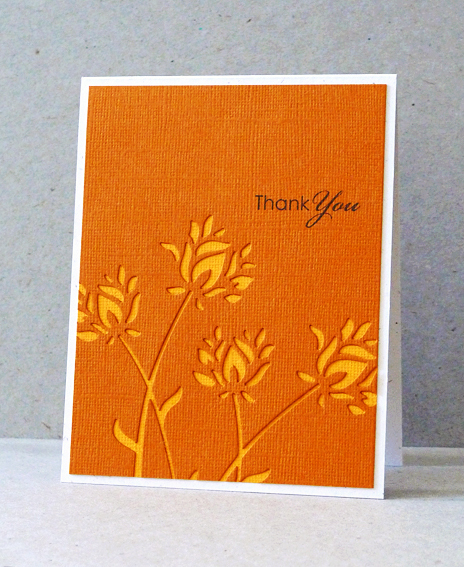 This elegant card from Angeline uses the die 'Wild Blooms' from Memory Box - they make beautiful intricate dies. 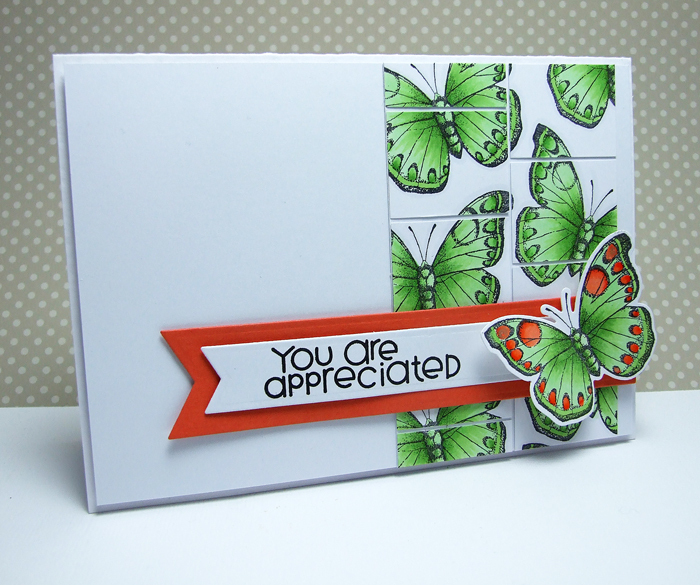 I love the tone on tone effect Angeline created on this card. My version still uses these great speech bubble stamps from Paper Smooches 'He Said She Said'. I also used this cute little puppy from Sweet Stamp Shop's 'Buddie-Bee'. Pattenered paper from Lawn Fawn, coloured card stock and a computer generated sentiment. Your card is so fun!!! and your DT's work -amazing as always! Think I need to get some memorybox dies... Thanks for great inspiration. what delightful cards from you and the DT team Judith. Your card is truly cute. Another set of gorgeous cards! Your card has me giggling, Judith! 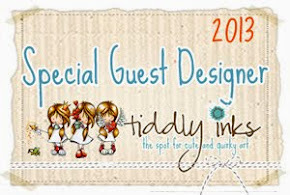 And Angeline's card has me yearning for some more Memory Box dies! Lovin' all the orange I'm seeing here. Your card is just too funny! Fantastic cards! 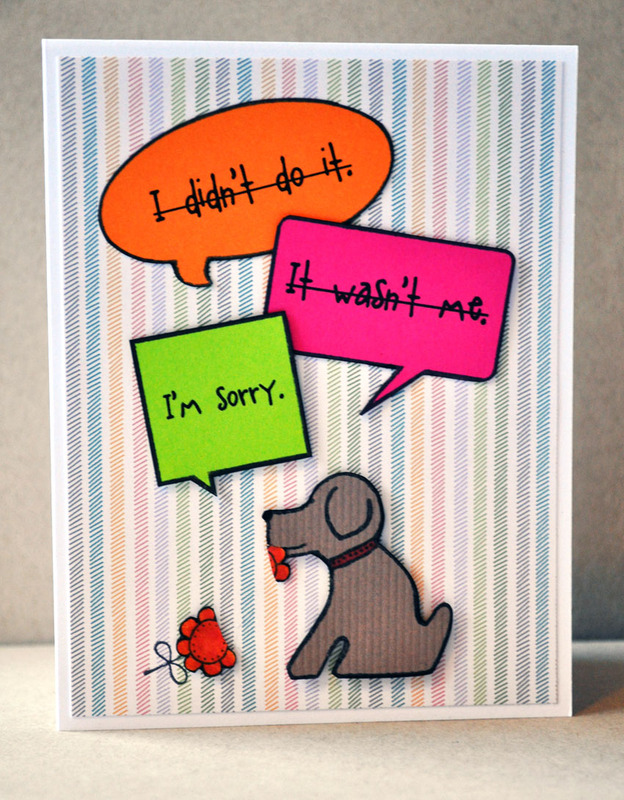 Love those bright speech bubbles and fun image Judith, total FUN card! I love Angeline's card...it is so gorgeous! Gorgeous...and the last one makes me laugh!! Your is SO cute, Judy! Loving all of these actually! Thanks for sharing your talents, ladies! Another inspiring collection of cards! Happy Friday Judith! These are all fabulous cards! That tiled butterfly card is stunning...the patterns on the doggie card are perfect. Love all of these! LOL, your card is hilarious! I love the bright neon speech bubbles. ABSOLUTELY Love love love your card--FUN and clever!!!!!!!! !